Truman Capote’s bestselling book In Cold Blood has captivated worldwide audiences for more than 50 years. It’s a gripping story about the consequences of a trivial robbery gone terribly wrong in a remote village of western Kansas. Sixty years after news of the 1959 Clutter murders took the world stage, AND EVERY WORD IS TRUE pulls back the curtain for a suspenseful encore to the true story of In Cold Blood. That is, until a single act of unspeakable violence defiles their sanctuary. Poking around the dark crawl space beneath their cottage, the family discovers a wooden crate, nailed tightly shut and almost hidden from view. Nothing could have prepared them for the horror of the crate’s contents – or how the peace and tranquility of their existence would be shattered. 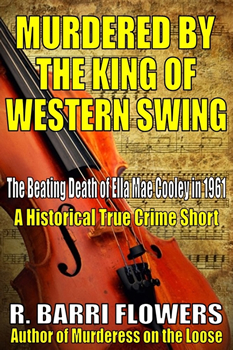 On Monday, April 3, 1961, thirty-eight-year-old former vocalist Ella Mae Cooley was beaten to death in her home in Willow Springs, an unincorporated area located in Kern County, California. The cruelty of the crime was shocking to local residents in the normally idyllic community. A greater shock was that the murder was committed by the victim’s fifty-year-old husband, Donnell Clyde Cooley, a well-known big band leader, musician, actor, host of a television variety show, and businessman. See how this tragic story of celebrity, suspicion, and homicidal rage unfolds in the historical crime of passion. On the evening of Wednesday, July 12, 1922, Los Angeles, California, was the scene of a shocking and deadly assault. The victim was an attractive twenty-one-year-old widow named Alberta Meadows. Her death came as the result of a vicious hammer and boulder attack on a twisting dirt road at the bottom of a hill in the subdivision of Montecito Heights on the city’s northeast side. The violent act was perpetrated by a romantic rival named Clara Phillips, who lured the unsuspecting victim to the unlikely crime scene. The twenty-three-year-old murderesses’ actions were spurred by jealous rage as Mrs. Meadows was the mistress of Clara’s husband, Armour Phllips, an oil stock salesman who was three years her senior. On the evening of Monday, February 25, 1867, Mary Ellen Coriell was brutally murdered at her home in Newmarket, New Jersey. The cold-blooded nature of the murder was shocking enough for residents of the town and elsewhere, but even more disturbing was that the culprit turned out to be the victim’s housemaid, an attractive young Irishwoman named Bridget Durgan. The circumstances surrounding the murder—including jealousy, obsession, and delusion—were as old as time itself. The crime would come at a very steep price for the murderess who would be executed for the heinous act. The sad tale of Mary Ellen Coriell’s untimely demise at the hands of someone she trusted and was ultimately betrayed by is a must for students of history, true crime, and homicide. 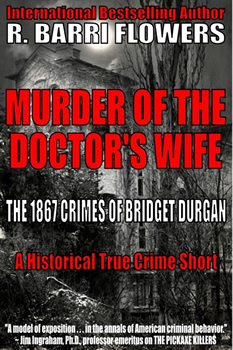 A sense of true history in reading the compelling tale of Bridget Durgan and the lengths she was willing to go to in ridding the competition for her imagined true love in this 19th century crime of passion. Readers will also get a bonus historical true crime short, “Murder of the French Lover,” which chronicles the May 21, 1892, scandalous murder of Madame Lassimonne in Paris, France, by romantic rival, Claire Reymond, and its stunning outcome. A tragic auto accident? No! The accident was staged, and young Doctor Ward murdered. But why? And by whom? The only witness, a DUI motorist, flees the scene. In the aftermath, his widow, Kingsley, impulsively accepts a job in a small-town central Pennsylvania bank, but trouble follows her. 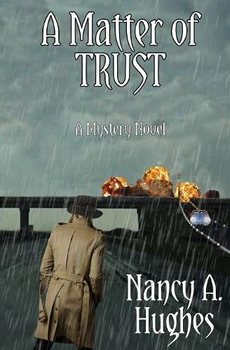 She uncovers a loan scam that implicates senior management. 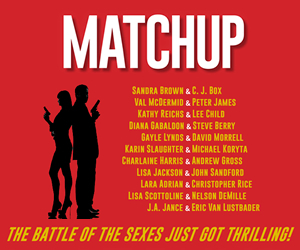 Angry and frustrated, she vows to solve both crimes herself, risking her job, her reputation—and even her life. I hope readers cannot put it down. That whatever life is throwing at them, they can retreat into my story. That they enjoy the twists, turns, surprises, and ending, and are left hoping there will be a sequel. I hope they enjoy the characters, forgetting that they are not real, but people they’d enjoy knowing and identifying as friends. On Tuesday, May 9, 1893, seven-year-old Emma Werner was the victim of a brutal and lethal attack in Chicago, Illinois. 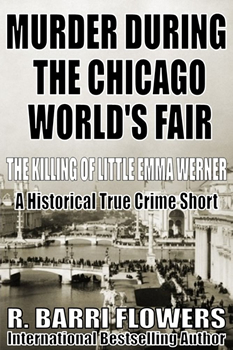 The dreadful murder came at the start of the city’s much ballyhooed 1893 World’s Columbian Exposition, also known as the Chicago World’s Fair. It coincided with the heinous crimes of ruthless serial killer Herman Webster Mudgett, who built a hotel called the World’s Fair Hotel to house and profit from the Fair visitors needing a place to stay. The hotel was a death trap for unsuspecting, mostly female, guests and employees alike. Emma’s killer was twenty-one-year-old George Craig, who worked as a painter at the World’s Fair. By the time the Fair was over, the mayor of Chicago, Carter Harrison, would be assassinated by Patrick Eugene Prendergast, a disgruntled newspaper worker. 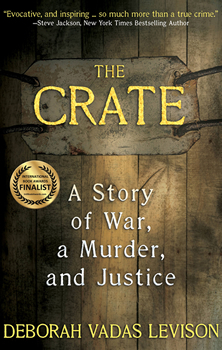 And before the shocking final disposition to the murder of Emma Werner could come to pass nearly four years later, Craig and Prendergast would cross paths in jail, Mudgett and Prendergast would be executed, and Craig would be set free in what many saw as an unbelievable miscarriage of justice and misguided sense of compassion for the cold-blooded child killer. Award winning criminologist R. Barri Flowers is a bestselling author of both fiction and nonfiction. This month he makes all his fans happy with the release of two new books: a true crime volume called SERIAL KILLERS AND PROSTITUTES, and a cozy mystery — MURDERED IN THE GOURMET KITCHEN. 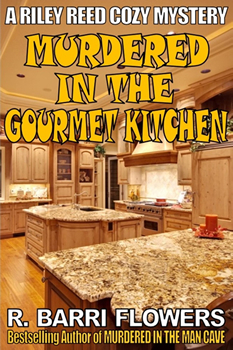 In MURDERED IN THE GOURMET KITCHEN, Riley Reed is the suspect in a murder because the victim was beaten to death with Riley’s casserole dish. Protagonist Riley Reed is a single, spunky and humorous interior designer who somehow finds herself in the middle of murder investigations. Swearing off nonfiction forever after the amount of time I had to invest to complete my first effort, Betrayal, lasted all of two weeks. That’s when I got a call from friend and noted ghost writer Lindsay Preston who’d been offered a book she thought was too big to do for just a payday. Was I interested? Well, like anytime the words “big” and “book” are used in the same sentence, you bet I was! And when Lindsay told me the book followed a Midwestern cop who toppled a drug gang consisting of the Hells Angels out of Canada, a corrupt Indian reservation in upstate New York, and the Russian mob, I started pacing the room with cell phone in hand. “Did you know more drugs come into the US over the Canadian border than the Mexican border?” Lindsay asked me. I stopped pacing with visions of dollar signs and the New York Times bestseller list dancing in my head because I had my hook, the magic fact that can drive nonfiction in a way fiction can only dream of. And if all the facts didn’t substantiate the sell job I was giving myself, I’d deal with that later. I’m a thriller writer, remember? And that’s the great dividing line between fiction and nonfiction. When you write fiction, your job is to make your characters seem real. When you write nonfiction, your job is to make your characters seem fictional. It’s all about finding the subject’s voice, a fact I somehow disregarded when Lindsay and I crafted the initial portions of the book in third person. 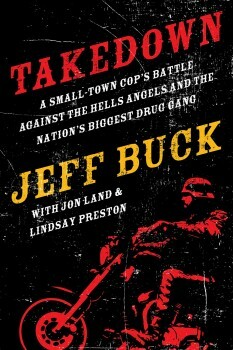 When the proposal constructed around those chapters was met with rejections across the board, I licked my wounds, climbed back on the horse, and rewrote all those pages in first person to find the voice of the book’s hero, Jeff Buck. The recent shooting spree at Umpqua Community College in Oregon could have been prevented. The lives of ten people could have been spared. The same is true of almost every massacre, including the mass murder of seventy-seven people on July 22, 2011, by Anders Behring Breivik. Breivik holds the key to understanding what former FBI profiler Dr. Kathleen M. Puckett calls the lone wolf killer. He is the only one of these lone wolves who is still alive and willing to discuss his crimes. Disconnected―Someone, most likely a parent, failed him at an early age, and as a result, he has difficulty establishing meaningful relationships. He is not even capable of connecting or keeping a connection with an extremist group. Intelligent―He possesses medium to high intelligence. Because of his intelligence, he has the capacity to connect to an ideology, as a replacement for human relationships. Abused—He is the victim of bullying or some other form of injustice. Angry―He has a need to strike back. Narcissist―He believes he is the most important person in his world. Need for recognition—It is not enough for him to kill a neighbor or former teacher. He strikes on a societal level to be seen, to matter. The year is 1936. Charles “Lucky” Luciano is the most powerful gangster in America. Thomas E. Dewey is an ambitious young prosecutor hired to bring him down, and Cokey Flo Brown–grifter, heroin addict, and sometimes prostitute–is the witness who claims she can do it. Only a wily defense attorney named George Morton Levy stands between Lucky and a life behind bars, between Dewey and the New York governor’s mansion. As the Roaring Twenties give way to the austere reality of the Great Depression, four lives, each on its own incandescent trajectory, intersect in a New York courtroom, introducing America to the violent and darkly glamorous world of organized crime and leaving our culture, laws, and politics forever changed. 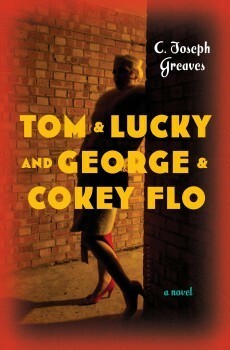 Based on a trove of newly discovered documents, Tom & Lucky (and George & Cokey Flo) tells the true story of a singular trial in American history: an epic clash between a crime-busting district attorney and an all-powerful mob boss who, in the crucible of a Manhattan courtroom, battle for the heart and soul of a dispirited nation. Blending elements of political thriller, courtroom drama, and hard-boiled pulp, author C. Joseph Greaves introduces readers to the likes of Al Capone, Dutch Schultz, Meyer Lansky, and Bugsy Siegel while taking readers behind the scenes of a corrupt criminal justice system in which sinners may be saints and heroes may prove to be the biggest villains of all. Murder of a Mafia Daughter is a story about a path to murder that begins in old Las Vegas with gangsters and the boys from the Jewish mob. It moves to San Francisco with the movers and shakers, to New York City with its literati, and ends in Beverly Hills with the glitterati. 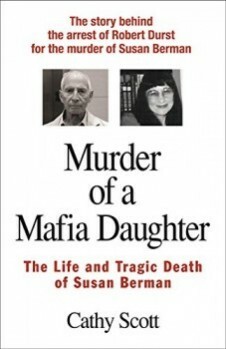 The slaying of Susan Berman in the winter of 2000 had all the earmarks of a professional hit aimed at a person born into the Mafia. Or was that just what the killer intended everyone to think, to lead investigators to the assumption that it was a Mob hit when it was not? Or was it her best friend Robert Durst who wanted her dead? In DELIVER US, Casey delivers a riveting account of the brutal murders of eighteen young women in the I-45/Texas Killing Fields. Over a three-decade span, more than twenty women—many teenagers—died mysteriously in the small towns bordering Interstate 45, a fifty-mile stretch of highway running from Houston to Galveston. The victims were strangled, shot, or savagely beaten. Six met their demise in pairs. They had one thing in common: being in the wrong place at the wrong time. In this harrowing true crime exposition, award-winning journalist Kathryn Casey tracks these tragic cases, investigates the evidence, interviews the suspects, and pulls back the cloak of secrecy in search of elusive answers. Kathryn Casey is an award-winning journalist and an author, who has written for Rolling Stone, TV Guide, Reader’s Digest, Texas Monthly and many other publications. She’s the author of seven previous true crime books and the creator of the highly acclaimed Sarah Armstrong Mystery series. Casey has appeared on Oprah, Oprah Winfrey’s Oxygen, Biography, Nancy Grace, E!, truTV, Investigation Discovery, the Travel Channel, and A&E. Casey is based in Houston, where she lives with her husband and their dog, Nelson. Edgar-nominated Diane Fanning is the author of six novels in the thrilling Lieutenant Lucinda Pierce series. 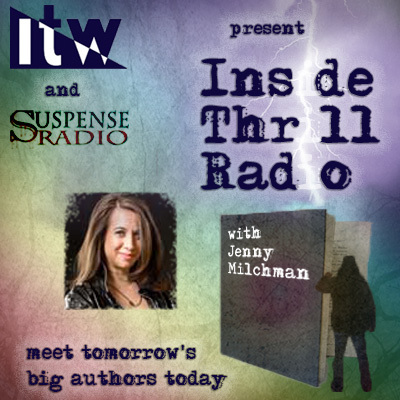 The inspiration for her fiction is firmly rooted in her writing experience with another genre, true crime. SLEEP MY DARLINGS, her twelfth non-fiction book, is a journey into the darkness of a mother’s heart. She’s here today to talk with us about her new book, and her work in general. Describe your new true crime release, SLEEP MY DARLINGS, for us. SLEEP MY DARLINGS is the tragic story of the death of teenagers Calyx and Beau at the hand of their mother, Julie Schenecker. Julie was an accomplished 50-year-old woman, star of her university volleyball team and an army Russian intelligence analyst during the Cold War. Married to Colonel Parker Schenecker, still in a military intelligence unit, they lived with her two children in an upscale community in North Tampa, Florida. The book explores the essential questions behind the crime. Did Julie Schenecker commit the double homicide of her children because of a lethal combination of severe mental illness and substance abuse? Or did she pre-mediate the crime, knowing exactly what she was doing? Is she deserving of mercy or is she just another cold-blooded, heartless murderer? Murders come in all shapes and sizes, whether in fact or in fiction, and the motivations of killers can be as varied as the crimes they commit. Getting inside the head of a real-life murderer is an essential part of creating a believable fictional character, but that’s a task easier said than done. After all, few writers have an opportunity to sit down with a killer and chat. For everyone else, author R. Barri Flowers offers the next best thing. THE DYNAMICS OF MURDER: KILL OR BE KILLED, the prolific author’s most recent effort, is part criminology text and part true crime book. It’s “an indispensable sourcebook for anyone interested in American homicide, from law-enforcement professionals to armchair criminologists,”according to Harold Schechter, Professor of American Literature and Culture at the City University of New York’s Queens College and a bestselling author of both fiction and non-fiction in his own right. It’s also a guidebook of sorts for authors who want to probe the minds of people who kill others. MASTERS OF TRUE CRIME: Chilling Stories of Murder and the Macabre is a true crime anthology, edited by bestselling crime writer R. Barri Flowers and published by Prometheus books. 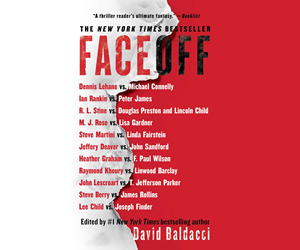 It features seventeen spine-tingling stories by award-winning and bestselling true crime writers, including ITW member and forensic psychologist Katherine Ramsland, Edgar Award winner Burl Barer, Harold Schechter, Carol Ann Davis, Ronald J. Watkins, Amanda Lamb, Robert Scott, and Michele McPhee. 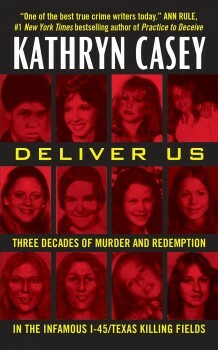 Kathryn Casey’s 7th true crime book, DEADLY LITTLE SECRETS, explores the Matt Baker case out of Waco, TX. Matt was a Baptist minister, and was convicted of murdering his wife, Kari, and staging it to look like a suicide. At the time, Matt was having an affair with the music minister’s daughter, a beautiful young blonde named Vanessa Bulls. In the end it became apparent that Matt Baker had never been the man he pretended to be. He’d been living a double life since college: a man of God who preyed on women. So Cathy quit her day job and took a buyout to fund her leap of faith. “People told me I was nuts,” Cathy says. She lived lean like a poor college student for the next two years, got her degree, and wrote for anyone who would have her. As she gathered clips, Cathy set a goal to land a job with a daily newspaper in five years. She made it in 3½. “The Las Vegas Sun offered me a job,” Cathy says. “Then Tupac Shakur was killed on my watch, and that was my first book—THE KILLING OF TUPAC SHAKUR.” Her second book, THE MURDER OF BIGGIE SMALLS, further established her as a bestselling true crime writer. Gary C. King’s Rage tells the story of Darren Mack, a man who had it all. A Beautiful home in Reno. A lovely wife. Three children. And a million-dollar business. Then his wife Charla filled for divorce, winning a large settlement in a heated courtroom battle. According to friends, Mack was ‘angry’. They had no idea how far his fury would take him. Over the next year, the rage only intensified. Finally, Darren Mack snapped, stabbing and killing his ex-wife in her condo. Hours later, he stalked and shot their divorce judge in broad daylight. In the new book THE MEASURE OF MADNESS-Inside the Disturbed and Disturbing Criminal Mind (Citadel Press/July 2010), forensic psychologist Dr. Cheryl Paradis draws back the curtain on that fascinating world and revisits twenty-one of the most intriguing, puzzling, and challenging cases she has handled in her multifaceted, twenty-five year career including that of a battered woman, a psychotic arsonist, an accused cannibal and a wide range of liars. Paradis relays these real-life whodunits with much of the dialogue relayed verbatim from her records and presents a compelling account of the relationships between mental illness and violence, innocence and guilt, criminal and victim, and individual and society.